Winemakers & Merchants Using Virtual Reality The VeeR VR Blog at www.veer.tv/blog has posted an interesting article titled, “6 Ways Top Winemakers and Merchants are Utilizing Virtual Reality.” Wineries are using virtual tours of their vineyards and cellars to engage customers. In the case of Brancott Estate, a New-Zealand-based winery, the winemaker created an immersive experience called the “Red Shed,” where the audience gets to walk around their winery while actually smelling and tasting freshly sliced fruit and wine through a specially crafted headset. Willamette Valley Sub-AVAs added Regional Reputation Premiums to Prices A study published in the Journal of Wine Economics, Volume 12, Number 4, 2017, looked at 2,221 Wine Spectator-rated Pinot Noir wines from between 1984 and 2008 using a regression analysis to demonstrate that regional reputation premiums have significantly increased with the creation of sub-AVAs, and that the pricequality ratio gap between sub-AVAs and the rest of the Willamette Valley have widened. For example, Dundee Hills was able to collect $12.69 more on a “90-point” wine than it could before being officially classified as its own sub-AVA. http://www.wine-economics.org/aawe/wp-content/uploads/2017/12/Vol12-Issue04-Price-Effectsof-Establishing-a-new-Sub-AVA-within-Oregons-Willamette-Valley-AVA.pdf. Value of Gold Medals in Wine Competitions A study by Christopher Bitter in the Journal of Wine Economics, Volume 12, Number 4, 2017, looked at competition medals and their relevance. The author concluded that by itself, knowledge that a wine is a gold medal winner appears to have little relevance to the consumer, as these wines do not score significantly higher in major wine publications than silver or bronze medal winners. Evidence suggests that golds from some competitions may be more relevant than others, but it may be difficult for the consumer to identify these competitions. http://www.wine-economics.org/aawe/wpcontent/uploads/2017/12/Vol12-Issue04-Wine-Competitions-Reevaluating-the-Gold-Standard.pdf. Wine Freedom News Wine shipping bills will appear in New York, Massachusetts and Mississippi in 2018, but other new bills may be introduced. Tom Wark of winefreedom.org emphasizes that consumers must take action to support these bills and let lawmakers in every state know they are expected to support consumer rights. 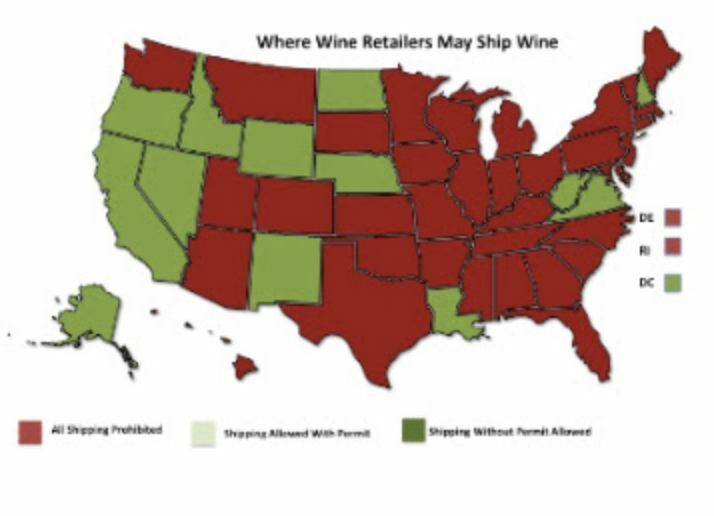 Interstate shipping of wine from retailers is banned in 36 states. On Wine Freedom’s “Wine Shipping and Politics” page you can learn where retailer wine shipments are banned, the impact of those bans, and the reasons that states have instituted bans. Gains From Participating in Contests The American Association of Wine Economists posted a Working Paper No. 223 in January 2018, “The Causal Impact of Medals on Wine Producers’ Prices and the Gains from Participating in Contests.” The results of this paper indicated that the producers of medaled wines can increase their price by an estimated 13%. The impact for gold is much larger than for silver and bronze.The incentives to participate in wine contests is high. http://www.wine-economics.org/aawe/wp-content/uploads/ 2018/01/AAWE_WP223.pdf. Sta. Rita Hills Wine Alliance “Rails ’N Wine” Alma Rosa Winery and Hitching Post wines will be featured on a fun and informative day trip by rail from Santa Barbara to San Luis Obispo. Taste wine while rolling down the rails on The Silver Splendor vintage rail car as you take in the vistas of the Central Coast countryside. The date is February 24, 2018, and deadline for tickets is February 19. Call Terry Remick at 805-680-0397 between the hours of 9:00 a.m. - 7:00 p.m..
Another Wine Aerator but This One is Digitally Connected The Aveine wine aerator was unveiled at the January 2018 Consumer Electronics Show in Las Vegas. Aveine takes the guesswork out of uncorking a bottle to obtain the ideal tasting experience. The aerator is placed on an open bottle and the user can scan the label with their phone to receive the wine’s optimal aeration time. The specifications then integrate with an algorithm created by wine experts to determine the precise condition for decanting and aerates the wine accordingly. Visit www.avein.paris/. (I only offer this new device for interest to the reader as I personally find little use for aerators, preferring to simply decant wines). Moderate Alcohol Consumption by Breastfeeding Causes No Harm An Australian study published in Drug and Alcohol Review in March 2017 found that low levels of alcohol consumption had no impact on breastfeeding duration, infant feeding, sleep behavior and infant development at eight weeks. Infants whose mothers drank at eight weeks postpartum had more favorable results for personal-social development at twelve months compared with those whose mothers abstained. The study did not condone excessive alcohol consumption in new mothers. UC Davis Century Experiment on How Natural Wine Corks Age UC Davis researchers are conducting a 100-year experiment to examine how the structure and chemistry of natural wine corks change over time and whether these changes extend the shelf life of the wine. Researchers will determine whether or not certain characteristics of natural corks slow the transmission of oxygen in wine over time, which can directly affect the quality of the wine and how well it ages. The project will examine already bottled wine of different ages, but also follow newly bottled wines for many years. In a separate retrospective study, researchers will examine wines one, three, five, ten and twenty years after bottling using both high-quality and standard-quality corks. The project will also examine oxygen transmission of natural corks for up to 100 years in a prospective study and compare these to manufactured synthetic corks. Deborah Hall of Gypsy Canyon Winery Retiring Deborah Hall is calling it quits as winemaker for Gypsy Canyon Winery in the Sta. Rita Hills. She wanted to recognize two highly talented people who assisted her through the years: Jeff Newton of Coastal Vineyard Care and winemaker Paul Lato. Deborah will be handing over Gypsy Canyon Winery to the next adventurous people who desire to produce wine while enjoying the Santa Barbara County wine country life. If you are interested, drop a note to Deborah at Gypsy Canyon Winery, Sta. Rita Hills, Lompoc, California 93436. The last vintage Paul Lato and Deborah created will be released in the spring 2018: 2015 Gypsy Canyon Estate “The Moment” Sta. Rita Hills Pinot Noir ($95), 2015 Gypsy Canyon Sta. Rita Hills Chardonnay ($75) and Gypsy Canyon Estate Ancient Vine Marcelina’s Vineyard Angelica ($155 per 375 ml) and the Ground Boots Pinot Noir and Chardonnay, her philanthropic label ($40). Visit www.gypsycanyon.com. Deborah bought her 290-acre ranch in 1990 with her physician husband and moved into the 1800s farmhouse on the property. After her husband sadly passed away in 1997, she sold 160 acres and kept 12 acres of vineyards including 9 acres of Pinot Noir and Pinot Gris and 3 acres of Mission vines dating to about 1897. After acquiring the property, the Halls were surprised to discover ancient vines covered in brush. Initially, they were thought to be Zinfandel, but DNA testing at UC Davis revealed that they were actually Mission vines. Presumably, the Mission grape was brought to California missions by Franciscan monks leading to the name “Mission” grape. The grape was historically used to make sweet wines for the monks to enjoy. Deborah believes that Dona Marcelina Felix Dominguez, the first known woman winegrower in California dating to the early1800s, established the Mission vines on Deborah’s property. Today, the Mission grape vineyard, now named Dona Marcelina’s Vineyard, is the oldest producing vineyard in Santa Barbara County. Deborah has crafted a California Original Angelica since 2001 using notes from winemaker Emile Vache from 1891. 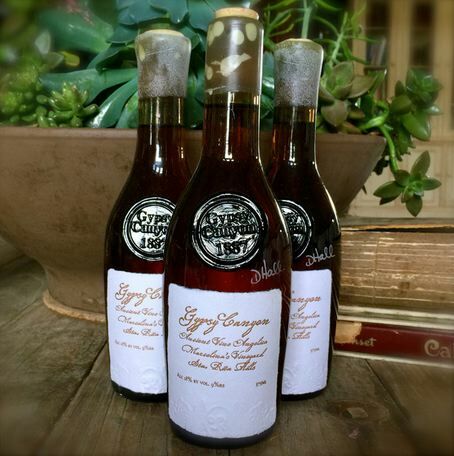 It is a very limited production dessert wine fortified with brandy and a rare taste of California history. Angelica is offered in hand blown bottles that are historically correct. Huneeus Vintners Purchases Benton-Lane Winery in Oregon Huneeus Vintners of Napa Valley has made its first purchase in Oregon’s Willamette Valley, acquiring Benton-Lane Winery including the winery, brand, inventory and an option to buy the winery’s 142-acre vineyard planted to Pinot Noir, Pinot Gris, Chardonnay and Pinot Blanc. Benton-Lane previous owners, the Girard family, will continue to farm the vineyard and produce wines while Huneeus Vintners will focus on sales and marketing. Huneeus Vintners also owns Flowers Vineyards & Winery in the Sonoma Coast and Quintessa in Napa Valley. 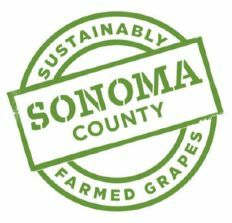 Sonoma County Winegrowers Unveil New Sustainability Label Sonoma County plans to become the nation’s first 100% sustainable wine region in 2019. To date, 92% of Sonoma County’s vineyard acres have completed the sustainability self-assessment and 72% of the vineyard acreage in the county has been certified sustainable according to businessinsider.com. Taxes on Wine May Be Changing Congress passed a tax reform package in December 2017 that most probably will include changes in how wine is taxed. Wines under 16 percent alcohol may be all taxed at about 21 cents per bottle. What this could mean is that a domestic Pinot Noir labeled at 13.8% may actually be 15.3 percent alcohol since crossing the 14 percent accuracy line would be permissible. It is unclear what the federal Alcohol and Tobacco Tax and Trade Bureau will do and guidance is expected to be forthcoming within a few weeks. Read more at https://www.wine-searcher.com/m/2018/01/tax-changes-hit-wines-alcohol-levels. Number of Wine Writing Subscription Websites Richard Hemming MW recently looked at the number of wine writing subscription websites. He found 31. Yearly subscriptions ranged from $145 (Burghound) to $32 (The California Grapevine). Readers of Hemming’s article contributed at least another six websites to the total. See the list at https://www.richardhemmingmw.com/blog/how-many-wine-writingsubscription-sites-are-there. Wine Critics Puzzling Reviews In the latest Wine Enthusiast there is a reviewed Oregon Pinot Noir given a score of 92 and the review notes, “A delicate potpourri of rhubarb and wild berry, with a streak of barrel toast. Darker notes of espresso and cocoa emerge on the extended finish.” 92, really? All that oak? A Sonoma Coast Pinot Noir was awarded a score of 90 and the review said, “Small amounts of Syrah and Zinfandel, this Pinot swings for the fences….robust oak and a ripe body give it power and weight.” 90, really? With robust oak? Does this sound appealing for a Sta. Rita Hills Pinot Noir with a stated alcohol of 15.3% and given a score of 93? “Rich and lavish, black cherry, chocolate chip cookie dough, crushed slate (?) and light mint….the soft, lush palate is creamy in black-plum pudding and coffee cream flavors. 93, really? Do you relish chocolate chip cookie dough and coffee cream in your Pinot? Another Pinot Noir review mentions aroma of “crushed gravel.” Have you ever smelled crushed gravel? And finally, although it is well known that there are literally hundreds of aromatic compounds in wine, is it humanly possible to identify four different herbal scents in a single Pinot Noir that one critic found including sweet dill (I had no idea that dill could be sweet), sage, tarragon and fennel? The lexicon of Pinot Noir or pinot speak can be confusing to the consumer. A large portion of the entire human repertoire of smell and taste descriptors have been invoked at one time or another to convey a taster’s Pinot Noir drinking experience. Wine critics tend to have the greatest imagination and the largest pinot speak vocabulary. I am just as guilty as the next wine reviewer for stretching the boundaries of pinot speak.